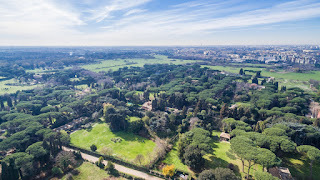 A two-storey Roman villa over a third of an acre in size and once owned by film producer Carlo Ponti just minutes from the Colosseum, has been reduced "on special" to 19 million Euros (AU$30m) after failing to sell at twice that price since going on the market in 2015. The huge villa sits on 1.5ha of private parkland where Ponti lived with his first wife and family before marrying actress Sophia Loren in 1966, and living elsewhere with her while retaining ownership of the villa until his death in 2007. The villa and its vast park-like gardens are located in the Appian Park Way that is one of Rome's most prestigious areas. It has a heated swimming pool, and a smaller "guest's villa" that's subject to separate sale. The main villa was built in 1880 over an ancient quarry that was used from 312BC for the extraction of rock to make the famed Appian Way, and still has the remains of an ancient vault made of concrete-like materials, and a room with a 138-year old mosaic floor. The entire place was extensively rejuvenated both in the 1950s and 1980s. FOOTNOTE: CARLO PONTI met Sophia Loren when she entered a beauty contest of which he was a judge and she was just 14 years of age. He was 22 years her senior and swept away by her beauty and humour, and they married seven years later, although that marriage was annulled in 1962 under Italian law that did not recognise his quickie-divorce in Mexico from his first wife. They later married again in France and remained so until Ponti's death in 2007. Some years later Sophia Loren was asked by a journalist if she was ever likely to marry again, to which she replied: "Never again. It would be impossible to love anyone else." And now aged 84 she's remained true to her word. 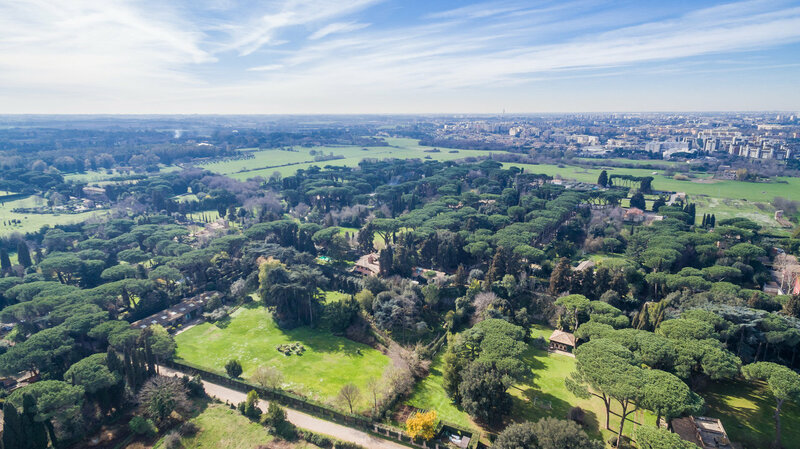 FORMER home of Italian film producer, Carlo Ponti sits on 1.5ha of private landscaped parklands, and surrounded by further public parks along Rome's famed Appian Way. 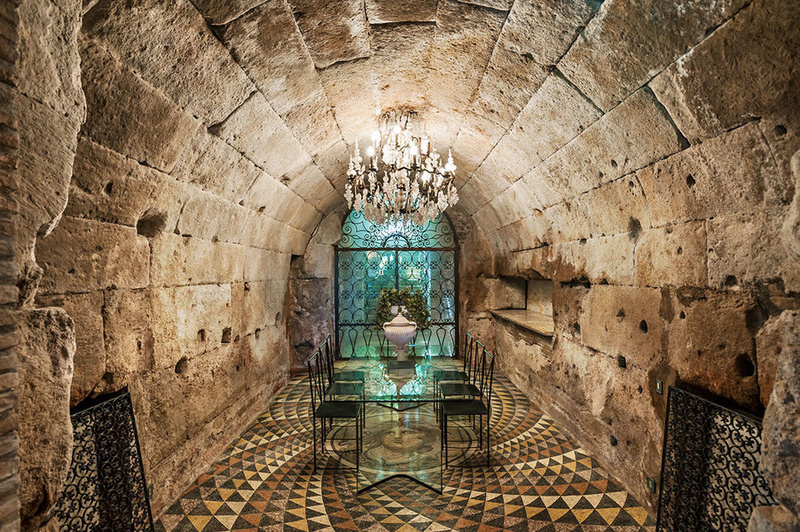 ONE of the many oddities of the home that was built in 1880 – a cosy dining area within what was once a family tomb with an ancient mosaic tiled floor.